With a lot of my purchases I prefer to buy local. But sometimes finding a good quality product makes locality less important. Being from Chicago and eating most of my meals in the Midwest, I'm convinced we raise and produce fantastic beef in our neck of the woods. 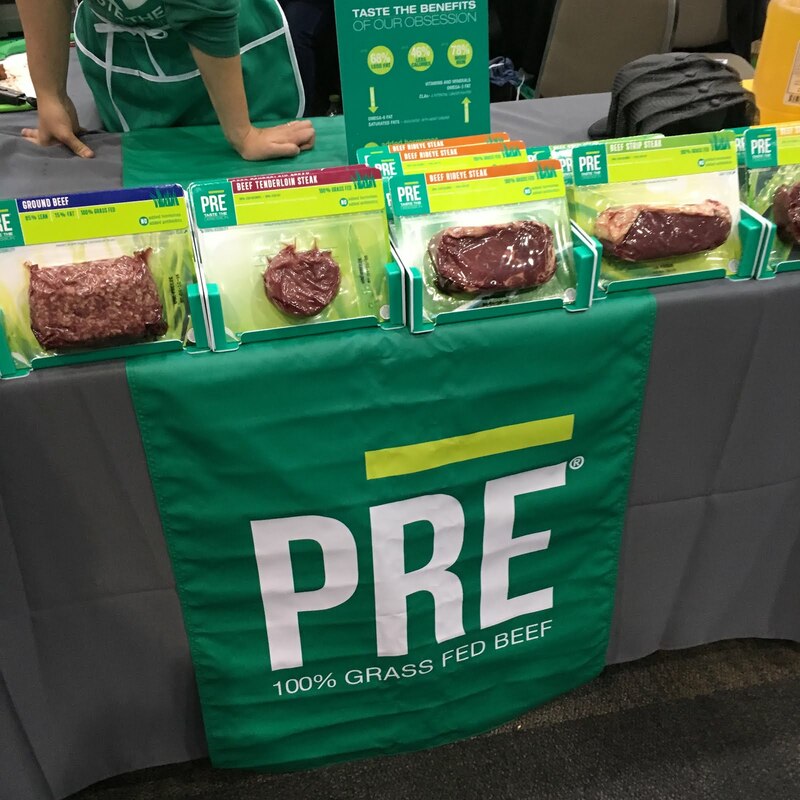 However, when I sampled PRE at the Good Food Festival, I was really, really impressed. It was cooked to medium and so tender and flavorful. At first I was a bit turned off by what seemed like excessive packing, but it is nice to have steaks individually wrapped to prepare the exact amount you'd like. It's also sealed in a way that allows for easy freezing. PRE can be found at a couple Treasure Island and Mariano's locations the city along with Hyde Park Produce. Lucky for me, living in the south suburbs it can also be found at Mariano's Frankfort location. Learn more at pre-brands.com.